One of the unexpected benefits of going zero waste: a beautifully functional and organized kitchen! Storing everything in glass means I see food rather than packaging when I’m cooking. This kitchen cabinet is where I store dry goods (sugars, grains, etc.). Top shelf contains clean, empty jars ready to take to bulk stores. These were acquired secondhand or repurposed from prior purchases. I use a stainless steel funnel to make transfers between jars easier. 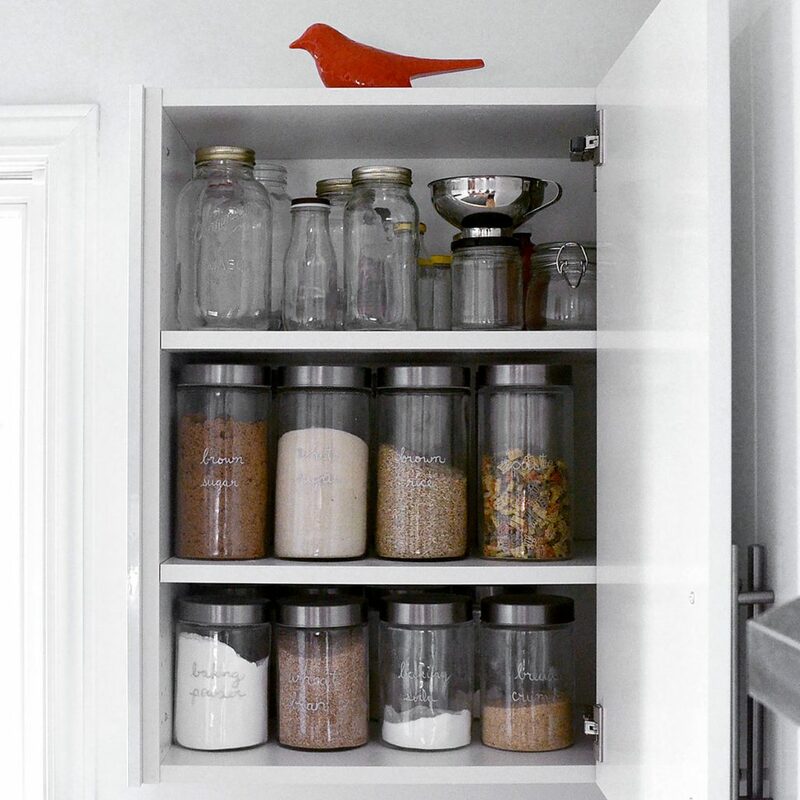 I label my pantry jars with a washable marker, which makes it easy to relabel jars—no waste! I also like to bring my marker with me when I shop so I can write container weights and bin numbers right on the jar for easy checkouts.